If you want to understand and to really know life in Medellin, than you need to see the richness and complexities of life here. It’s simplistic to say that life here is more than black and white. It isn’t varieties of grey either.. There are so many levels, and sublevels and little pockets / slices of life here. Every barrio has its own personality; community, strengths and weaknesses. Never has that been more apparent than during my visit to El Tesoro yesterday to interview Dr. Botero. 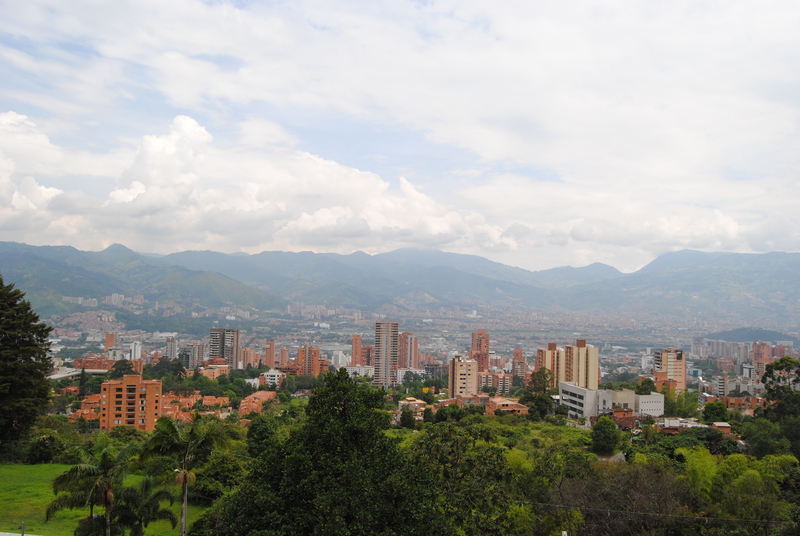 Even so, I would be selling the city short if I pretended that I truly understood Medellin in my brief time here. My friend, Adriaan has lived here since 2008 and he would be the first person to admit – that it takes much of that time just to scratch beneath the surface. One of the reasons I write about Colombian life so frequently, in addition to medical issues is to better understand life here – and to share that with my readers. It’s not just another language, or another Latin American country. Superficial differences are great for picture postcards and brief visits – but if you spend any real time here, or want to have lasting business relationships or friendships with people here, than you have to dig deeper (not just into Colombia, but in yourself). This is not a medical mission, it’s the anti-thesis to what I do. But I still have to listen, and to consider Colombians and Colombia as a big part of what I do. I am not an imperialist, and I am not a big multi-national organization. But if I am going to encourage people to see Colombia as a viable option to affordable surgery, then I need to consider the Colombians that will be impacted by this. I have to take time to make sure that my efforts don’t undermine the needs of Colombian citizens – that they don’t lose access to health care providers in favor of the ‘wealthy gringos’ with cold hard cash in hand. I have to try to encourage others in this industry to do the same; to work within the existing framework to try to ensure services for all. There is talk of building several of these tourist hospitals in the coastal cities (Cartagena, Barranquilla and Santa Marta) and I hope it doesn’t come to pass. It would change, and damage this country which I have come to love so much. This is also why I steer clear of transplant tourism – which is inherently unfair. Being in Colombia has changed me, because it makes me question a lot of the things that I held as ‘facts’ merely due to my upbringing and geographic orientation. But I feel this is essential for becoming a more intelligent and informed person and citizen of the world. Sometimes it is just noticing the obvious – like the view from the mall at El Tesoro.. Sometimes its taking a minute to talk to the vendors in the park; to listen to their dreams, hopes, worries as well as get their perspectives on life, global and local events. But sometimes its just being here. This entry was posted in Medellin and tagged Colombia, medical tourism ethics, private hospitals. Bookmark the permalink.